Our Goal is to provide ongoing community awareness, collaboration and prevention concerning the causes and impact of suicide among students, adults and veterans in our community. Our Objective is to raise money to "train a trainer" in Mental Health First Aid. The trainer will train the professionals and lay people in how to talk with individuals who are suicidal and how to direct them to the appropriate mental health support and services. 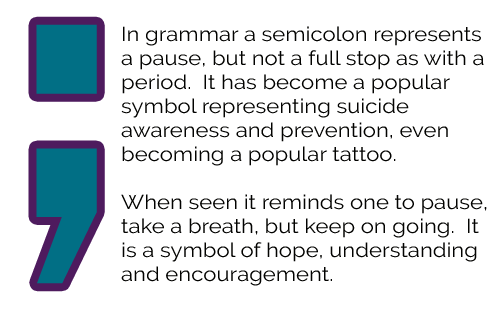 Support: Suicide Support Group for those affected by suicide in a supportive setting to work through their grief. Peer support is an opportunity for people with similar experiences to share what they’ve learned and encourage one another. Everyone in this support group has experienced the same type of loss: the death of a loved one due to suicide. Whether your loss is recent or was years ago, we invite you to join the conversation. We value your input. The #YOUmatter; Team held it's first Suicide Awareness & Prevention Walk in 2017. The event was an overwhelming success and more than fulfilled its goals. 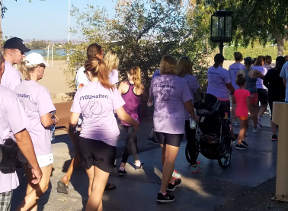 While the event is a fundraiser supporting services in Lake Havasu City, its main purpose is to raise awareness, open discussions and ultimately save lives. it is the 10th leading cause of death overall. it is often preventable. Knowing the warning signs for suicide and how to get help can save lives. Those who survive suicide may have serious injuries, in addition to having depression and other mental problems. suicide occurs at a disproportionately higher rate among adults 75 years and older. Keep them safe: reducing a suicidal person's access to highly lethal items or places is an important part of suicide prevention. While this is not always easy, asking if the at-risk person has a plan and removing or disabling the lethal means can make a difference. Be there: Listen careful and learn what the individual is thinking and feeling. Findings suggest acknowledging and talking about suicide may in fact reduce rather than increase suicidal thoughts. Stay connected: Staying in touch after a crisis or after being discharged from a care can make a difference. Studies have shown the number of suicide deaths go down when someone follows up with the at-risk person.